Sometimes all you need is a Tour proven grip on your putter to enhance feedback and improve feel, and that's exactly what you get with this exceptional putter grip. This putter grip is larger and thanks to its exceptional materials and Tour-proved shape, this grip offers unmatched feedback and Tour-level feel. 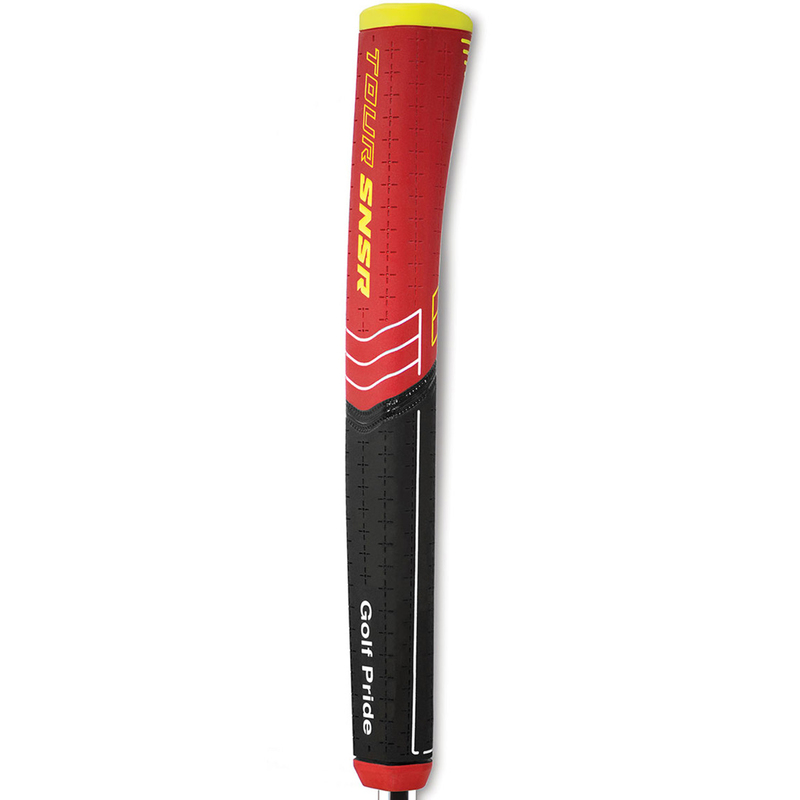 This grip is finished with a traction-textured design that provides heightened feel and moisture control. This Contoured shape is available in two oversize options, 104cc and 140cc. The pistol shape allows you to "Lock in" your upper hand for more consistent hand placement that will help build your confidence putt after putt. The tapered profile is ideal for players after a more traditional, sculpted grip shape that decreases in size from top to bottom. Soft proprietary SNSR Compound promotes light grip pressure in your hands for superior control. Professional golfers know that feeling precise ball contact in putting is critical to a repeatable, solid stroke and that is what you get with this putter grip. The superb SNSR Compound and Textured Design Technology results in enhanced feel and moisture control. The wide, paddle front allows you to place your thumbs in the correct position and gets the face alignment square at address. 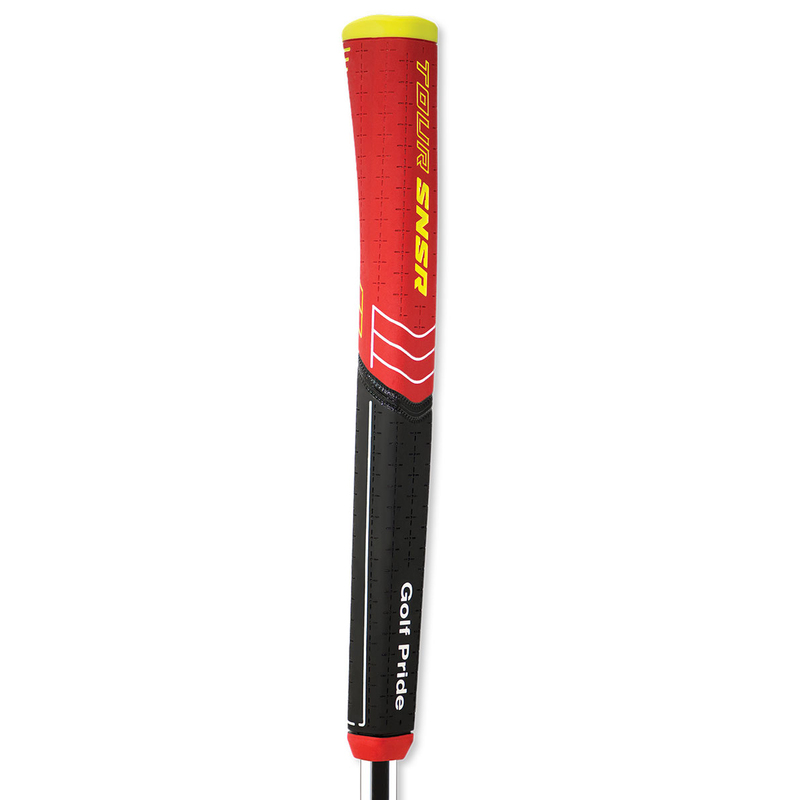 Helping you produce a fluid stroke is the super soft rubber that is 40% lighter than another Golf Pride putting grip.